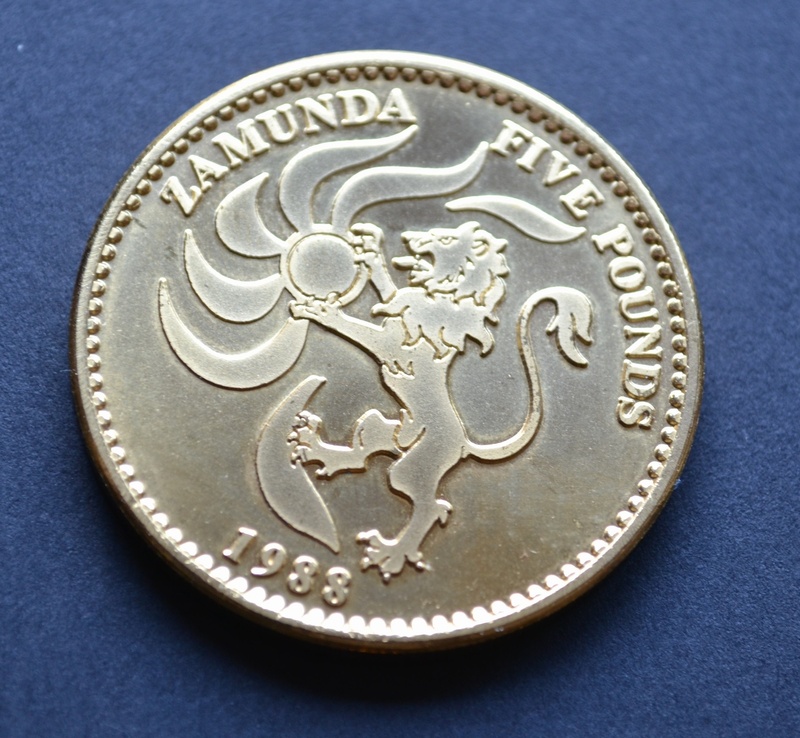 1988 Gold Bank of Zamunda Coin A 'Bank of Zamunda' gold coin from the 1988 Eddie Murphy hit comedy Coming To America. 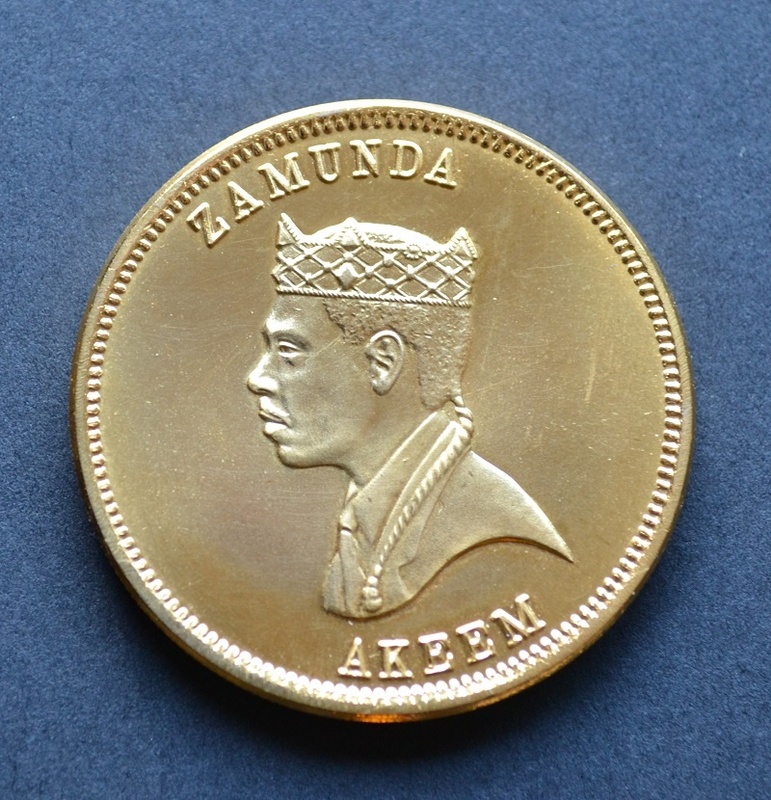 A 'Bank of Zamunda' gold coin from the 1988 Eddie Murphy hit comedy Coming To America. Continental Coin Corp made bronze silver and gold coins for the movie but only the gold coin made the final cut of which this is one. 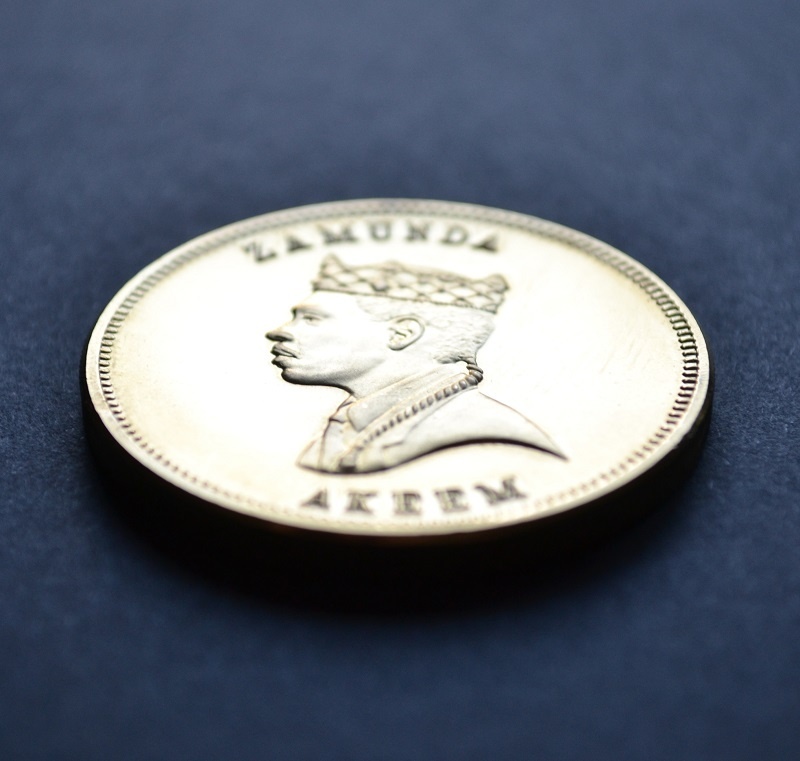 This is a heavy quality coin and features Prince Akeem's profile and the words 'Zamunda' and 'Akeem' on one side, and the fictional Zamunda emblem on the rear with 1988 and “Five Pounds”. 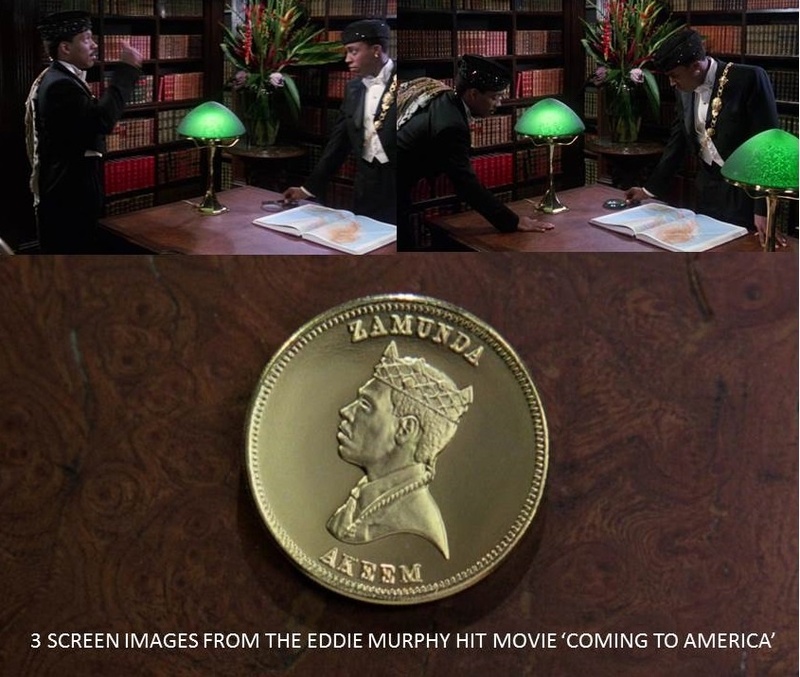 The gold coin can be clearly seen at a pivotal moment in the film when Akeem is seen flipping a coin with Simmi, letting fate decide if they should visit LA or New York to find him a wife. It is a unique bespoke movie prop, easily identifiable to anyone who has seen the hilarious comedy and comes with a detailed certificate of authenticity.